Facebook Page | Thursday, May 4th 2017, 7:30pm | Eur 20 / 15 euros concession | Location: The Powerscourt Theatre, Dublin 2. This evening Positive Nights is honoured to welcome Dr. Praveen Atmakur to our stage! Dr. Atmakur is a qualified teacher from Isha Foundation where he passes on Sadhguru’s Inner Engineering teachings. This is a comprehensive system addressing every aspect of human wellbeing, from body, mind and emotion to the fundamental life energy within us. It is a method for aligning your body, mind, emotions and energies to function in complete harmony. During the evening, Dr. Atmakur and Paul will discuss the method, the benefits of Inner Engineering, Sadhguru’s vision through the Isha foundation and much more. On the second half there will be a Q&A with the audience. Delicious cold press juices to be provided by Oolong Flower Power at the break. Dr. Praveen Atmakur had fulfilling career as a Psychiatrist and Forensic medical examiner for 15 years in the NHS in UK. Yet this did not quench his thirst to delve deeper into myself to know the deeper meaning of life and existence. 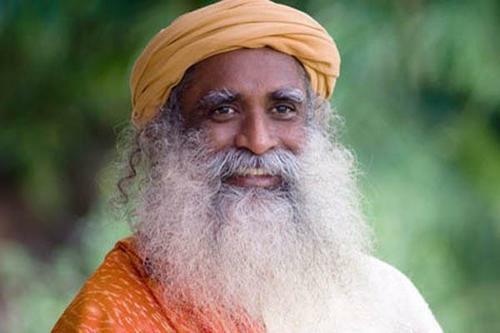 Searching for techniques to tap into his ultimate potential brought him to Sadhguru and Isha Foundation. The Technologies for Well being provided to him by Sadhguru made a profound impact on his life and he decided to invest his time to impart these tools to anyone willing. He trained under the direct guidance of Sadhguru and has been conducting the Inner Engineering programmes since 2009 across the world, in UK, Europe, India and Africa. Seeing people touched and transformed through these programmes has been the a fulfilling aspect of his life and has been an inspiration for him to take it far and wide. Spring Issue 2017 Positively Newsworthy!